Discussion in 'Australia: Missing & Unidentified' started by Trent28, Mar 24, 2019. Andrew Vincent Kearney left his home in Burwood at 9am on Friday August 21st 1981 to travel via public transport to an appointment at Dandenong Hospital later that day. He never made it to the appointment and has not been seen or heard from since. He had with him a long wooden box that he usually carried radio aerials in, however it is believed he might have had a rifle in the box on August 21st as subsequent searches of the house revealed that the rifle was missing. He also took with him an ounce of gold, but left behind his wallet and ID cards. He had been suffering from anxiety in relation to his upcoming HSC exams. 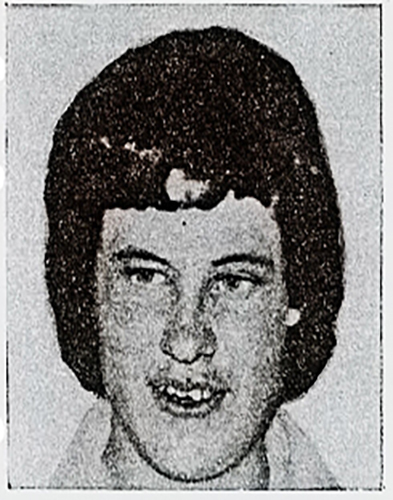 There was a sighting of Andrew in November 1981 on a Melbourne train by a person who had attended the same school, but the sighting wasn't investigated because the person was unaware that Andrew's disappearance was ongoing. Andrew is my first cousin once-removed. Andrew's mother passed away 3 years ago with no answers and his father is suffering from dementia and poor health. Andrew's older brother also suffers from dementia and Parkinson's disease. Kimster and Whatsnext like this. Welcome, @Trent28 ! Thank you for posting Andrew's case. I'm sorry that your family has no answers and especially that his mother died not knowing. There is so little out there about Andrew. There are some MSM articles from the 80s but they can't be found online. I fear that we may never know what happened to Andrew. Kimster, Whatsnext and SheWhoMustNotBeNamed like this. Kimster, Trent28, SheWhoMustNotBeNamed and 1 other person like this. Andrew and his family would be so pleased to know that you're still getting the word out there! Andrew's disappearance caused his Mother unimaginable distress right up until the time of her death a few years ago. His father continues to struggle with it in failing physical and mental health. I have received the police files through FOI but it's a frustrating pile of head scratching memoranda. The MSM reports reveal many confusing inconsistencies in the details of Andrew's life leading up to his disappearance.